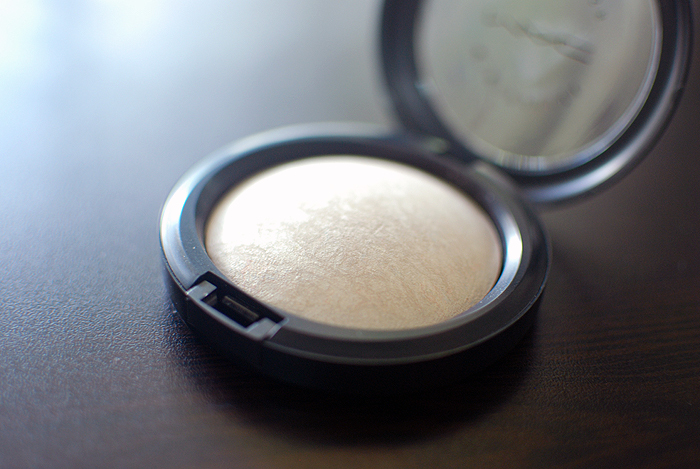 The MAC Mineralize Skinfinish in Lightscapade has apparently been a cult favorite and everyone’s perpetual lemming (because it always sells out) since it was first released as part of a 2005 collection, aka the beginning of time. It’s since been repromoted only a handful of times, and most recently in MAC’S collaboration with Hayley Williams, who insisted that they include it in her collection since she loves it so much. I bought it because the promotional pictures were pretty. And I guess I was having a weak day. I didn’t even know it was a “cult favorite” until after I started looking at reviews online. About 90% of those sang praises to this pretty little orb. I figured I was maybe using it wrong? Based on what I’ve read, I wasn’t. A dusting on the cheekbones, the bridge of the nose, the browbone, and the cupid’s bow. Maybe an inner corner highlight, too, if you were in the mood for that. I guess I just wasn’t really all that impressed? There is definitely an added glow and luminosity there, but I feel like being under direct sunlight may not be to your advantage. You can’t really see the shimmer unless you looked really hard and really close. It reminds me of the Guerlain Météorites in that way, and because of that, you can’t be heavy-handed when it comes to both products. I’ve tried adding it all over the face, which was pretty and I didn’t feel too shimmery because of it. However, I felt like it took away the depth it supposedly gives to the face when you highlight only the high points and planes of the face (i.e. cheekbones, bridge of the nose, cupid’s bow, browbone, etc). Don’t get me wrong. It’s a rather pretty highlighter, but I don’t understand why people are frothing at the mouth whenever this gets re-promoted. 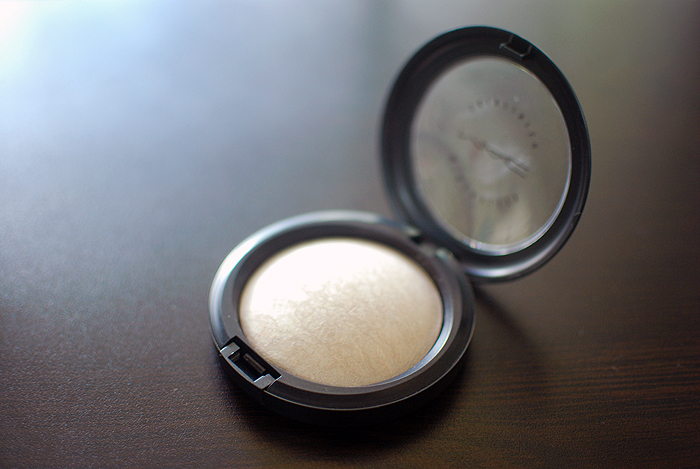 Lightscapade is beautiful, and is a generally good quality powder highlight. It’s finely-milled and isn’t a chunky monkey. The thing is… it’s rather ordinary. 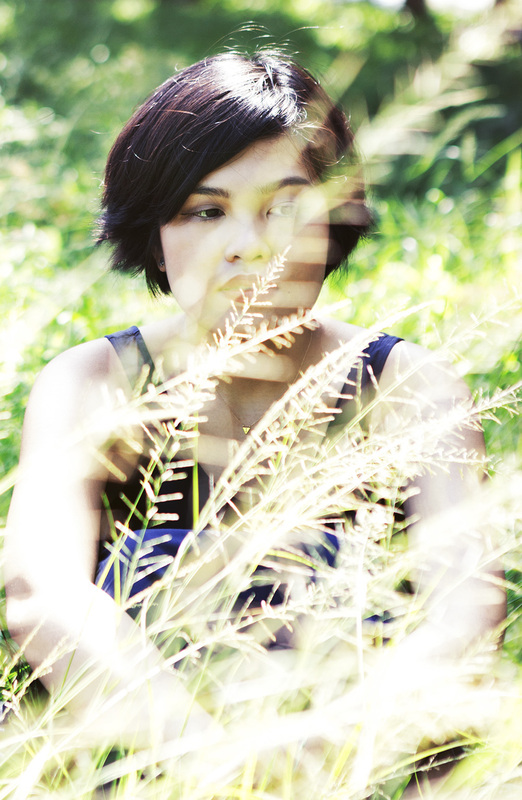 You could definitely find a dupe or an alternative. Probably even a cheaper one, too. The veining isn’t even as beautiful as the original version that was released a few years ago. (See swatches and images of the products here.) Just take a look at mine! It’s practically just a solid beige dome. And who wants to be beige? Not me! Heck, even the promotional shots for the Hayley Williams collection featured a much prettier Lightscapade than what I got. It makes me wonder, though, if I prefer what they did this time around (re-promoting a product that is incredibly different from what it originally was) or if I’d rather that they assigned a different name for this “shade”. Because it does not look like Lighstcapade at all, though I imagine that it functions the same way. Honestly, I wouldn’t have minded as much if I got something that remotely looked like what I thought I was paying for. It’s a pretty good highlighter, but the thing is, I have a ton of highlighters already. This just seems excessive. If it stood out from the rest of what I currently own, then that’s a whole different story. Will I repurchase it? Well, given that it will probably take me forever and a day to use up all 10 grams of this baby, I wouldn’t get the chance to. But, even if I did, it would be unlikely that I would repurchase it. Truthfully, I’d probably just set my sights on another MSF, because I do like how it sits on my face. I’ve been looking at other ways people use it, and I haven’t really found anything worth noting. It’s just a basic highlighter. Don’t be too torn up if you don’t manage to get one for yourself. I bought my Lightscapade from Carefree Shopper at Php 1,780, which is also a personal boo-boo just because it cost so much more than what it should and I didn’t even realize. MAC does not test on animals unless required by law. 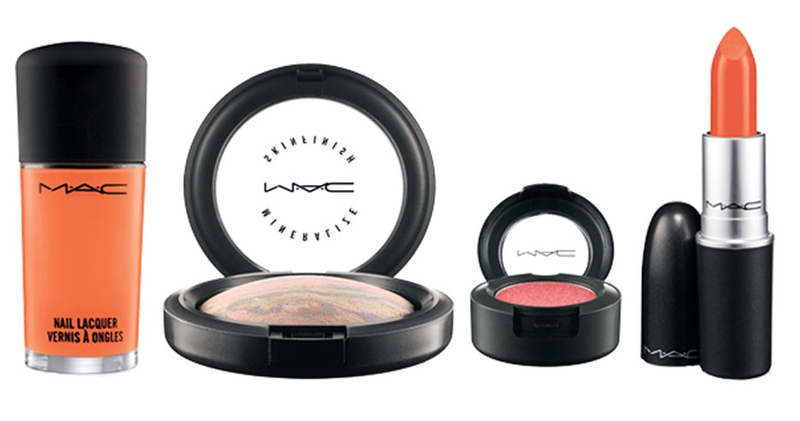 The original one is identical to a Catrice one that I saw today… Only the price is different (catrice one is about 5 euros)! However, seems nothing special. Thanks for the heads up! I agree, it’s really nothing special, IMHO, especially with all the hype that surrounds it. I really liked the eyeshadow and lipstick from the collection! Can’t get hold of them though, and I’m not willing to pay that much for it. And yeah, your Lightscape looks like the ones I’ve been seeing around in Singapore, which is why it never attracted me. 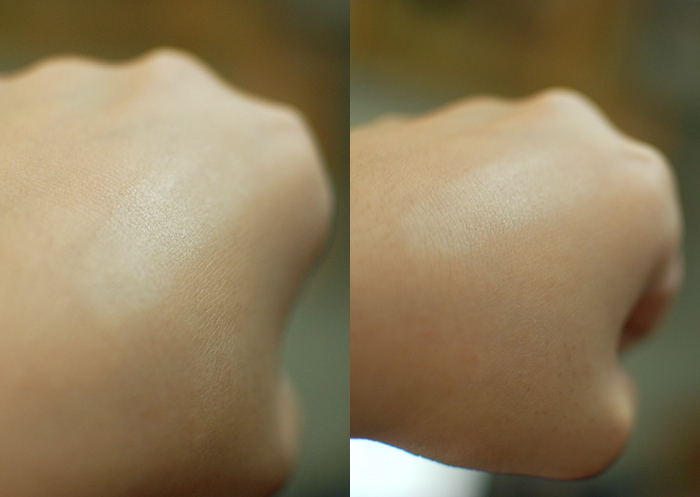 =/ I use Soft and Gentle, which is a wonderful highlighter that would work on a lot more skin tones than Lightscape. I sometimes use it as an eyeshadow too so it’s a pretty versatile product. I really want the eyeshadow, too, and I don’t want to pay that much more for it. Maybe a couple of bucks, lol. I kind of wish I just got Soft & Gentle, but really only just because I have a ton of other highlighters already. It’s quite odd how different it is on promo photos and what you recevied… I mean, even if it wasn’t a truly unique product, at least the multicolor veining would be nice to look at. This looks lovely on you, very subtle and pretty! I love my illuminators! I do agree that it has a pretty glow to it. 🙂 I love mine, too, but I really have too many right now! Haha. I feel like the lightscapade you own may be a fake. The lightscapades we have at the store don’t look like the one you own (they definitely have more veins of colour in them). I’ll re-check today, though, because I never really paid them too much attention. Also, for your skin tone, soft and gentle would probably be an amazing highlighter. 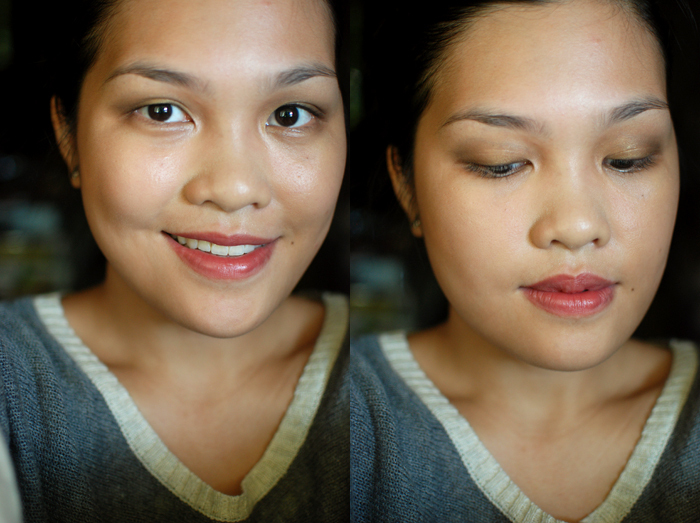 I usually just recommend lightscapade to fair skin tones. Hey Laura, thanks but I really don’t think it’s fake as the reseller I buy from is very trusted and honest. 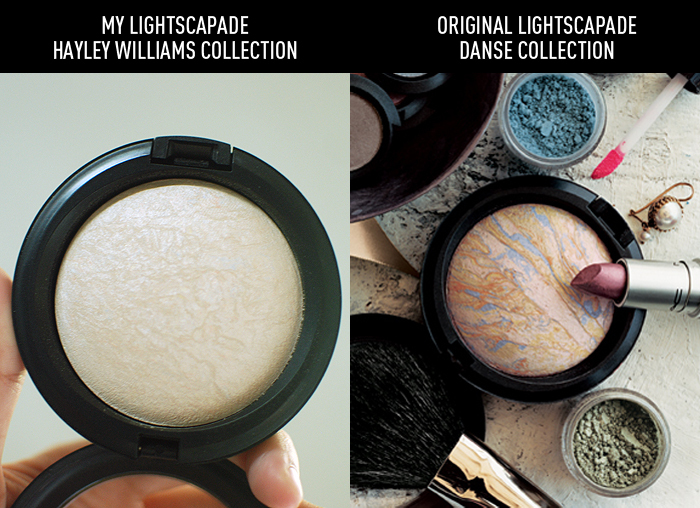 🙂 I’ve observed from blog posts all over the world that a lot of the Lightscapades released with the Hayley Williams collection seems to have faint veinings. A commenter also informed me that the ones sold in Singapore look similar to mine. I had a good look at the ones we sell at my store, and they definitely have more veining in them. Maybe yours isn’t a fake, but it certainly looks a lot paler/different from the norm. Maybe it’s defective? Who know!